Gaiman writes this short novel from the point of view of a man recollecting his memories from when he was a young boy. I don’t know if the POV works for this story, as neither age really seemed to come to the forefront. As a result, the narrative is sort a blank slate, and may have worked just as well in 3rd-person. There’s not a lot of character development or motivation and things just sort of seem to happen to the main character. There are elements of terror and magic, and the book reads much like a modern day fairy tale, which is not a terribly far stretch from the majority of Gaiman’s other works. But I get it: that’s his schtick. I wish the atmosphere was darker than it was though; I would have been fine if it was even creepier and more Gothic. It felt like it was a few details away from being that much better. I’ve read that the book is based on Gaiman’s own childhood, from the discovery of the murdered boarder to the almost-drowning in the bathtub at the hands of the abusive father. Even the image on the back of the book is an actual photograph of a young Neil Gaiman scaling the outside wall of his childhood home. There are definitely some unique ideas and scenes in here, but even for a short read I found myself slogging through to the end. 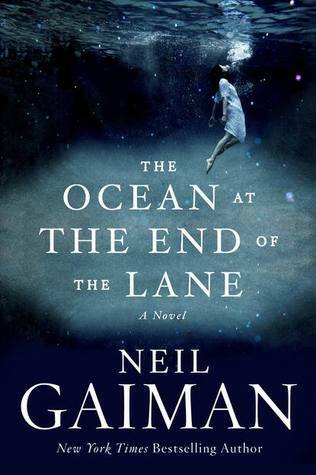 This entry was posted in Book Reviews and tagged Book Reviews, Fiction, Neil Gaiman. Bookmark the permalink.